The whole of our Instagram and Facebook feed is full of these memes. (And that's just the starting.) We all prove our love by tagging our loved ones in such memes. Having said that, these memes bring on the sarcastic levels in each one of us. They are so relatable that even Bollywood can't resist them. Bollywood actively participates in the meme creation process by giving us some meme scenes in movies. Bollywood scenes turn into the iconic ones by being the subject of a Bollywood meme. Bollywood memes give the literal definition of, “Every coin has two sides”. The first side is depicted in the movie scene and the second side is depicted in these memes. The second side is clearly dependent on our creativity and thinking. 2. Tubelight: Ye haath mujhe de de Thakur?? 7. Sanju - Zaroori hai kya? I’m pretty sure that each one of you must be having your own meme collection. But you will relate to all of these Bollywood memes for sure. 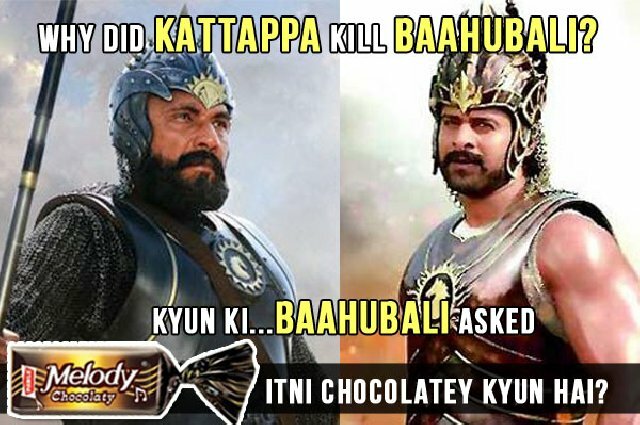 Every succeeding Bollywood meme is more hilarious. Anushka Sharma would surely be so embarrassed for such a response from people. But all we know is the excitement which we all have when we read like when you see her ?? And lol there we find her sitting! Feels pity for Facebook and Twitter!